Hosting guests for the holidays is part of what makes the season so special, but it can also put a lot on your plate during what is already a busy time of year. One of the best ways to fight holiday stress is to prepare as much as you can in advance. There are certain last-minute holiday tasks that are unavoidable–recipes you have to make in the moment or flower arrangements that you want to keep fresh. That is unavoidable. Fortunately, you can set up and furnish the rooms of your house to be comfortable for guests well before you arrive. Sunrooms are always a popular gathering spot for holiday guests and they’re a good place to have cocktails or small parties with friends and family. Below, we’re sharing some ideas that will transform your sunroom into the perfect holiday gathering spot. Read on! One of the reasons sunrooms make a great holiday gathering spot is because of the large windows. Sunroom windows make it easy to take in the winter scene outside, from the comfort of the indoors. 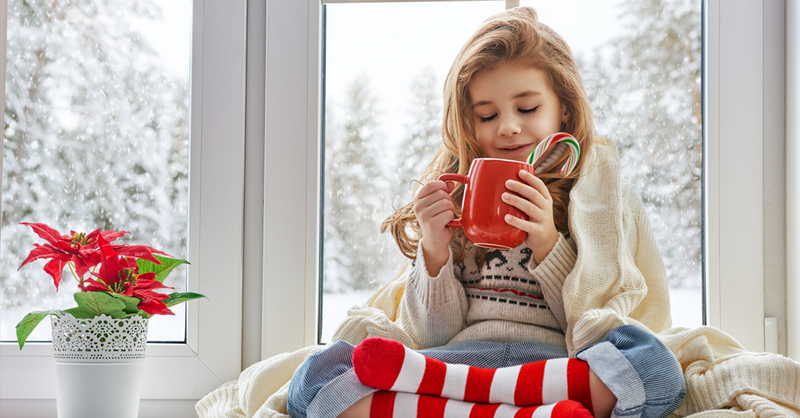 Sunroom windows are also the perfect place to hang holiday decorations so that the room feels even more festive during this special time of year. Decorative holiday lights are a good choice for framing the windows. You can also hang wreaths and other greenery, which will look pretty and can make the whole room smell like a winter wonderland forest. Typical sunroom furniture has a coastal, outdoor feel. That is perfect for the summer months when the weather is actually warm, but it feels out of place for the holidays. Heavier, lush sunroom furniture can ground the space a little more and make your holiday guests feel more comfortable. If you don’t want to replace everything you already have in there, consider simple upgrades like warm, cozy throw blankets or decorative pillows in seasonal colors. During the holidays, sunrooms serve a different purpose than they might the rest of the year, which is why certain sunroom ideas will work better than others. When you have holiday guests, you want the room to feel comfortable and functional, but it will also be a space where friends and family gather to mingle and catch up. It’s important to consider how people will flow through the room, especially if you plan to host a holiday party in the space. Your sunroom furniture will provide seating, but you should also think about bringing in high-top tables. High-top tables make it easy for people to stand and talk, while still enjoying a festive cocktail or holiday appetizers. Ready to Update Your Sunroom for Holiday Guests? Welcoming friends and family into your home for the holidays should be something to look forward to. So often, though, we get caught up worrying about the small details. If you prepare your sunroom in advance, it will be easy to welcome guests into your home for the holidays and be confident that they are comfortable. For more information about upgrading your space, please contact us at any time.